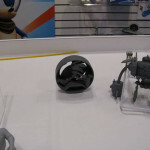 Following on from an earlier report regarding the new Sonic toys, more information and images of the toys have come to light including some new toys and toys in their prototype stage. 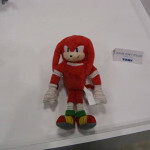 First up is a Knuckles plush based on the Sonic Boom design. He doesn’t look too bad if you ask me, there’s no obvious problems with it and it’s very accurate to the final design. You can also just make Amy out in this image. Up next is Tails. 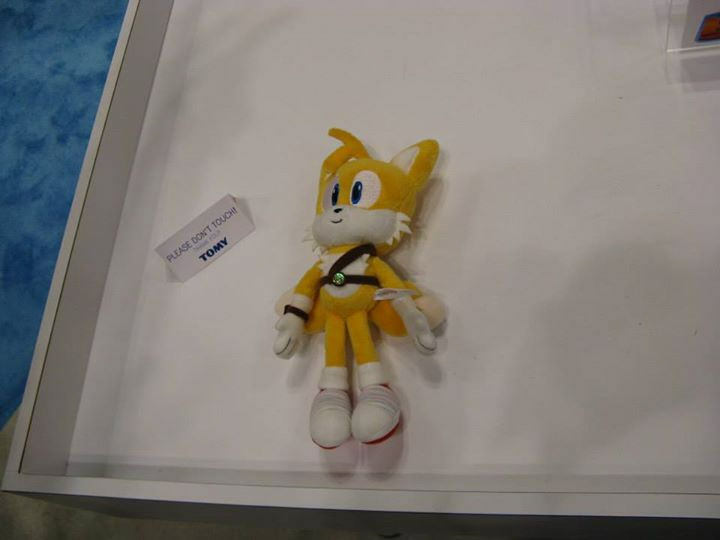 Tails looks… alright I guess? It’s hard to say, Tails hasn’t really changed too much during his Boom transformation other than the accessories so really it’s just a question as to if you like tool belts or not. 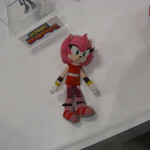 And the last one in this plush line is Amy. I might be alone here but is it just me or does it look kinda bad? 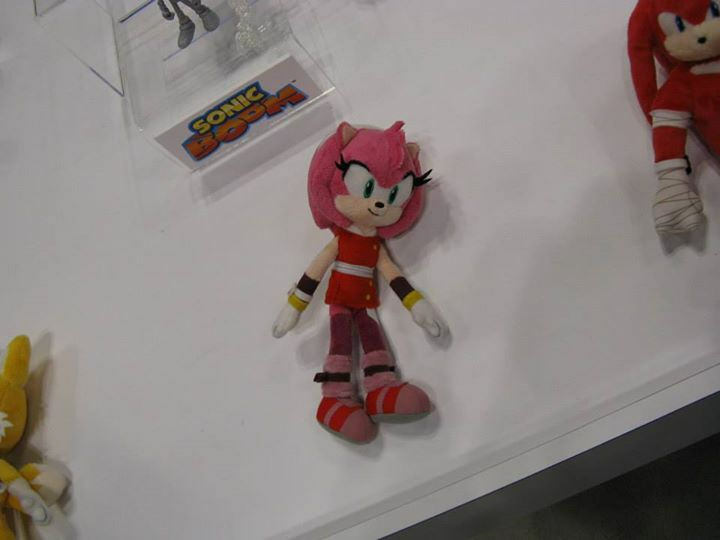 It’s accurate to her design, no question about that, and I like the Amy Boom design, but in a plush form it looks a little messy. 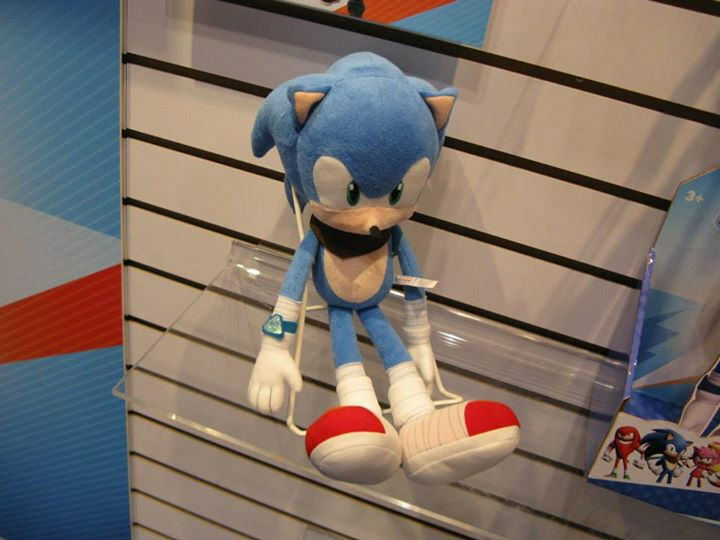 Actually… I know what the problem is, it looks like someone took the head off an Amy plush and slapped it onto a completely different plush toy. Her head doesn’t look like its part of that body. YES! YES! YES! YES! YES! Finally! We have not only an awesome looking Eggman, but also the Egg-O-Matic! It’s still in the prototype stage, but hopefully this one will get put into production. 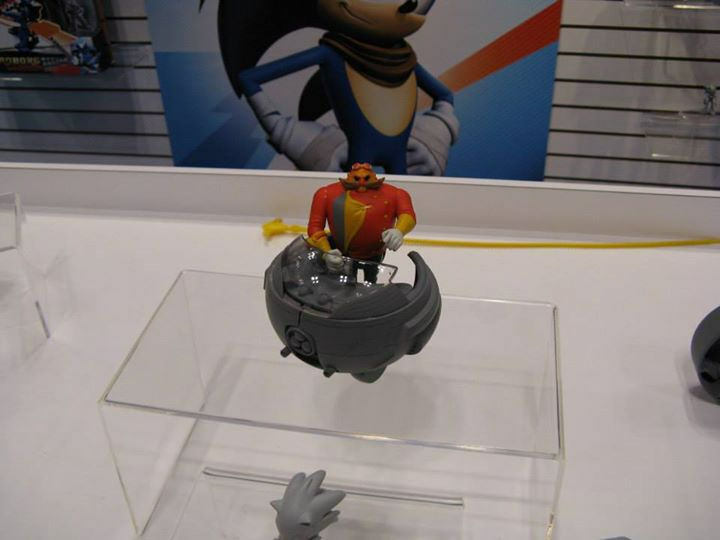 Eggman looks really great here, paint job seems accurate and his model is accurate too. 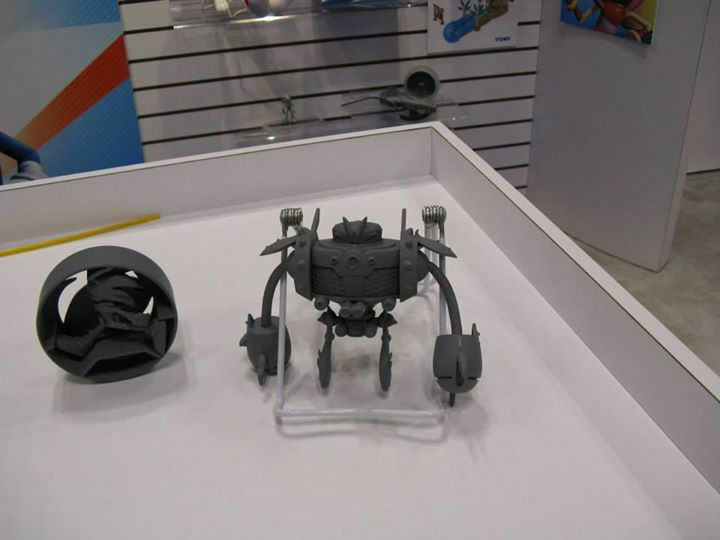 But even though it lacks paint, just look at the detail on the Egg-O-Matic, also from the looks of it, Eggman can actually stand inside it! Really hope this one gets into production, UK release please. Another prototype now, looks like Burnbot will be tormenting our action figures at some point. 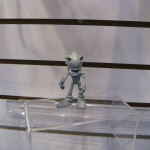 He looks great, really well detailed model, just hope the paintjob matches… also… what’s going on with Sonic there? A spin attack form? Or… something else? I might have the answer in a later image. I’ve highlighted this photo not just because of Knuckles, but also because there’s a strong suggestion that the Sonic characters will be using vehicles at some point. 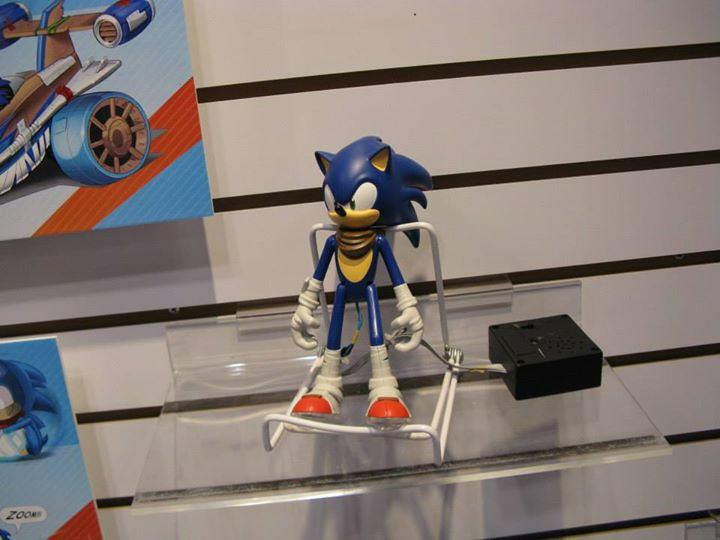 Behind him is what appears to be a Sonic Riders style hover board. Might we see this popping up in both the game and cartoon? Ok then, I’ve highlighted this one not because of the face mask, but because of what’s under it, see that concept image? That would appear to show some kind of play set, and the Sonic figure with it looks like the one I pointed out earlier next to Burn Bot. Well now! This is a very interesting photo! 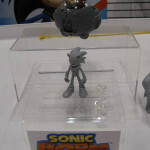 We’ve got a Sonic figure which appears to have some kind of electronic component. But look at the size of that thing, I assume it’s going to be a talking figure but, look at the size of that speaker, I hope that gets minimised at some point. 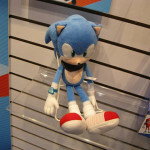 And finally we have a much larger Sonic plush. I think I like this plush not sure why, Sonic has a huge forehead and his watch looks a bit tacked on, but considering the Boom design, this plush looks really good. With any luck we’ll see these products come out later this year in both the UK and the US, because I really want the Eggman toy. 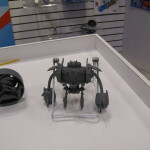 For more photos from Toy Fair and to see the images in their full size, check out our gallery. P.S. Why does Sonic’s car have sports tape on it? So when he runs down people who complain he has a car, he can bandage them up of course! Next Post > Next post: Twitch Plays Sonic 1? These look awesome!! Baldy McNoseHair looks so cute xD! I GOT TO H=GET THIS STUFF WHEN IT COMES INTO STORE!! Vehicles, huh? Well, we’ve seen Sonic drive cars and pilot planes before, so I guess I can go with it. Also, Aries, why don’t you give it a rest. It’s okay to not like something, but it’s not okay to try and force others into changing their point of view. The arms and legs are all too thick on the plushies… remember, the cast have spaghetti limbs this time around. One thing that worried me massively (before I saw the awesome trailers and the designs grew on me), during the initial shock of the reveal I spent the night looking at all my Jazwares toys i’ve been collecting and thought “if they’re rebooting Sonic, then all this collecting has been for nothing and these figures will be irrelevant”. But i’ve gotten used to the designs, and am embracing the Boom series (after all, I consider Sonic Riders seperate since the designs are also slightly different and it’s set in a futuristic world), and I am really hyped for collecting these toys, which even at these early stages, are looking awesome! 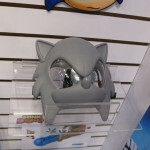 Definitely want that Eggman figure too. I also like how that Sonic one looks. Much more sleek and polished compared to the other prototype. Love the plushies! 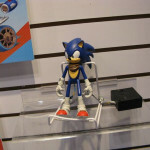 Hopefully there is also a small one of Sonic, or big versions of the other 3. Sonic’s car doesn’t have sports tape, it’s secretly white duct tape. He doesn’t exactly have the best track record with cars, and clearly the entire budget went to their clothing. That Eggman statue. That is just, win. 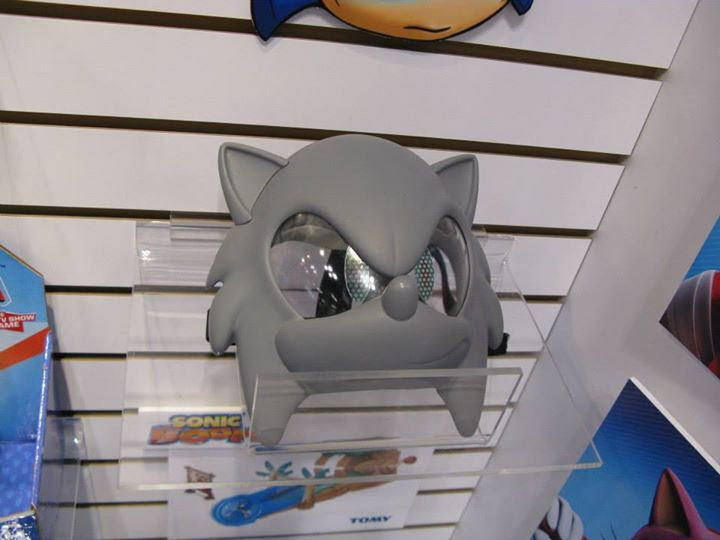 Sonic, mask head remind me of Iron Man mask head. Plus why Tomy didn’t finish creating Sonic mask head or two kunckles, toys and burn Bot, toy then Dr Eggman toy what they were thinking I think that’s why they tried so much creating a lot Sonic Characters toy or plushest. Really excited over the new plushes though! 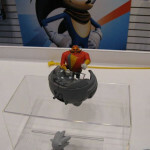 That, I do believe, is the one of the if not the BEST looking Eggman figures I’ve ever seen. 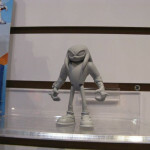 Oddly I don’t really mind that he appears to have a muscular upper body like Knux does now. Didn’t really notice it that much in the CG short since he was in his mobile but now that he’s standing out of it… Yeah, the good doctor’s certainly been taking his vitamins. If that car concept does make it into the TV show, I’d hope that they use it wisely. I imagine that Dr. Eggman would challenge Sonic and the others to a drag race that they’d make fun of. 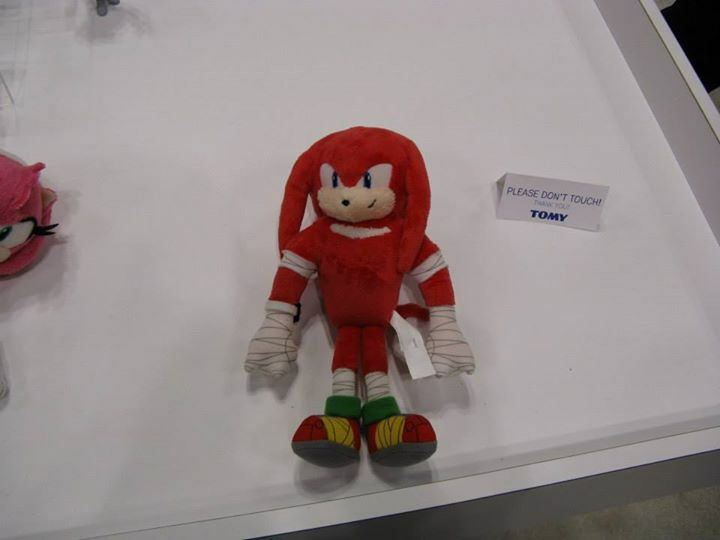 I didn’t see anything wrong with the Amy plush, but that Knuckles plush looks hideous, the face looks so deformed and sloppy. Hmm… why DOES Sonic’s car need sports tape? This is TOMY doing the Boom toys, right? They make some pretty neat stuff, in my opinion. Generally what we see is Pokemon toys; could always use more game line toys from them. BLUE ARMS BLUE ARMS BLUE ARMS!!! NO, I can’t accept that. You know, at first i thought “THIS IS WAY TO MUCH SPORTS TAPE, KNUCKLES IS HUGE BLUH BLUH” but, i really like the designs now, i grew up with sonic adventure, and these designs don’t bother me. Even knuckles looks good to me! I’m really looking foward to this universe. 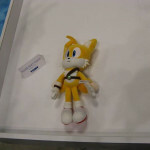 they realy made sonic good I cant wait to get tails though!!!!! and from the small pic in the corner the set and cars look sweet! 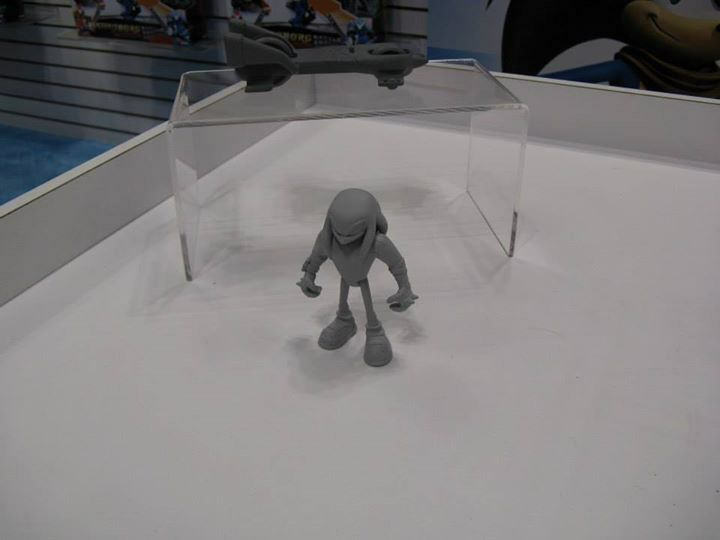 also knuckles he looks friggin awsoooooooooooooooooooooome!!!! woohoo newest comment for now!!!!!!!!!!!!!!!!!!!!! !